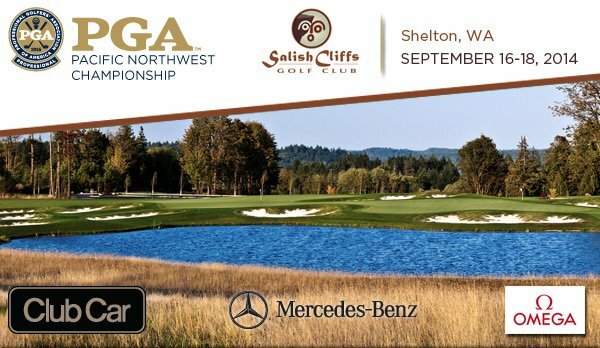 We gained approval from National to accept post entries for the Pacific Northwest PGA Professional Championship on September 16-18. If you already entered through the PGA of America, thank you! We’ll see you at Salish Cliffs GC. Post entry deadline is Wednesday, September 3rd at 5:00 PM. Except for Life Members Retired you must be eligibly employed in one of the following classifications to play in the PGA Professional Championship: MP, A-1, A-2, A-4, A-5, A-6, A-7, A-8, A-9, A-10, A-11, A-12, A-13, A-14, A-15, A-16, A-17, A-18, A-19, A-20, A-21, A-22, A-23, A-24, LMA and LMMA. Late entrants are not eligible to advance to the 47th National Championship at Dunes Golf & Beach Club and Grande Dunes Resort in Myrtle Beach, South Carolina on June 22-25, 2014. CLICK HERE for our post PGA Professional Championship entry and tournament details.